TERMETAL is a producer of platform gratings welded on automated welding lines. 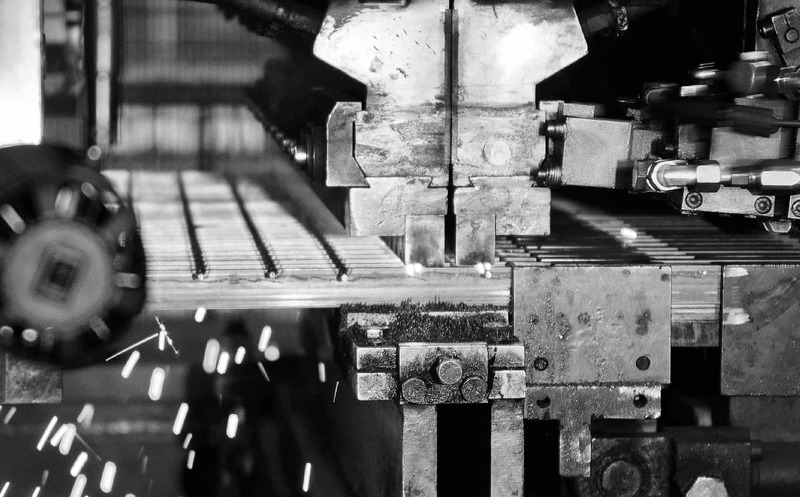 This process requires welding of grating elements: bearing flat bars and joining transverse bars. 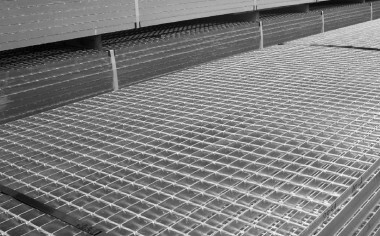 Spaces which are created between those elements are called grating meshes, and they make it possible to create various solutions, due to their size, and also to use additional elements. The basic elements of gratings – bearing and transverse bars – create one common surface at the top. 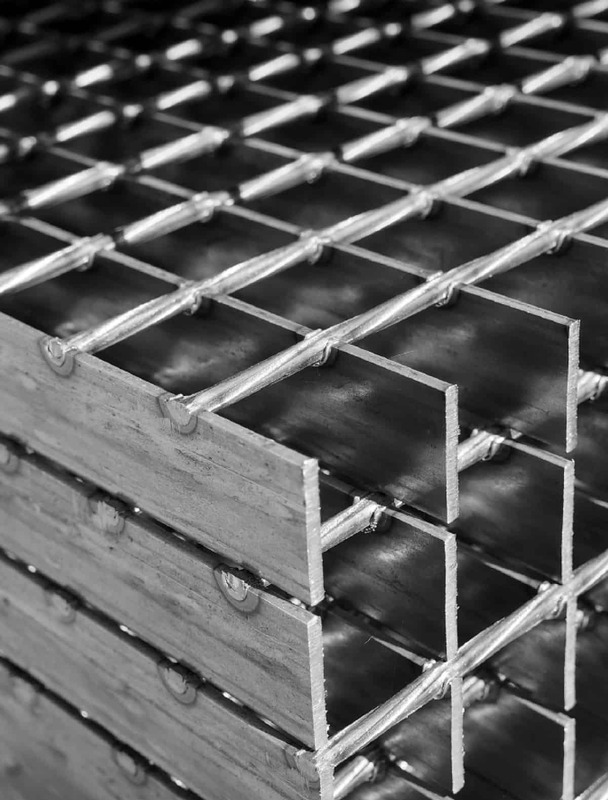 Due to the fact that distances between bars/flat bars as well as additional elements vary, TERMETAL offers a very wide range of products. 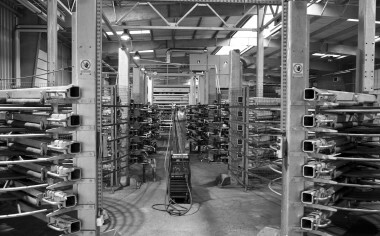 The basic materials used are bearing flat bars which are obtained as a result of lengthwise cutting of metal sheet coils to the desired length of gratings. The basic type of steel used is S235 (according to the PN-EN 10025:2007 standard,) hot rolled in accordance with the PN-EN 10051+A1 standard, and its equivalents (according to other standards). 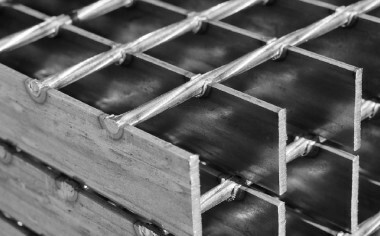 In order to make gratings it is necessary to also use bearing cold rolled flat bars. They comply with the durability requirements for S 235, S 275, S 355 steel. Transverse bars are obtained as a result of special plastic processing based on calibration and addition of gouges that support and increase the anti-slippery properties of those elements. Stainless steel type INOX 304 or acid-proof INOX 316 steel may also be used to make those elements. 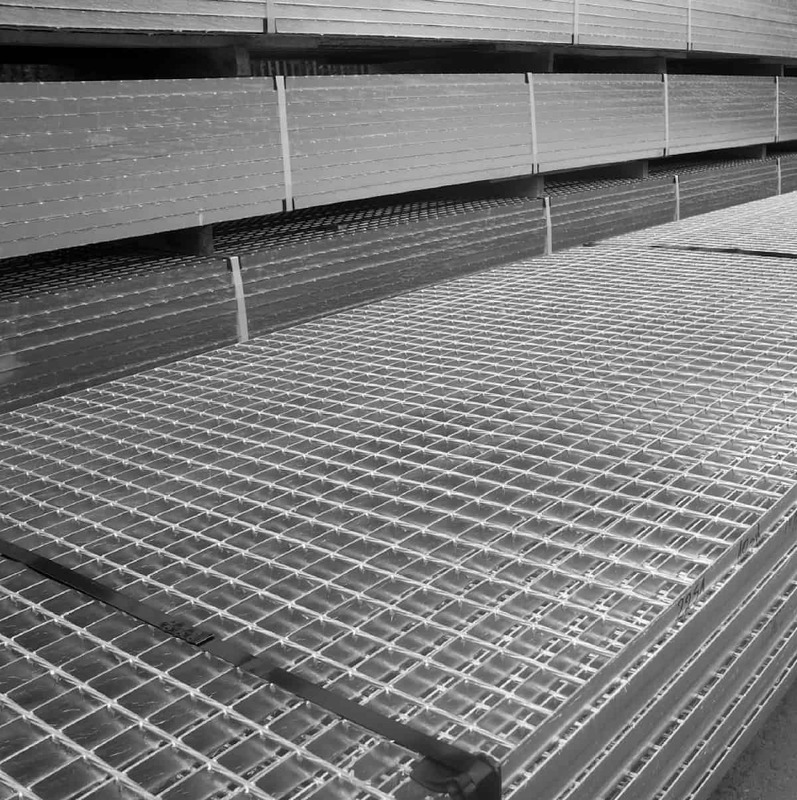 In order to make gratings from stainless steel, stainless or acid-proof round smooth bars are used. In line with popular expectations, TERMETAL protects its products against corrosion via hot-dip galvanisation conducted according to the EN/ISO 1461 standards. 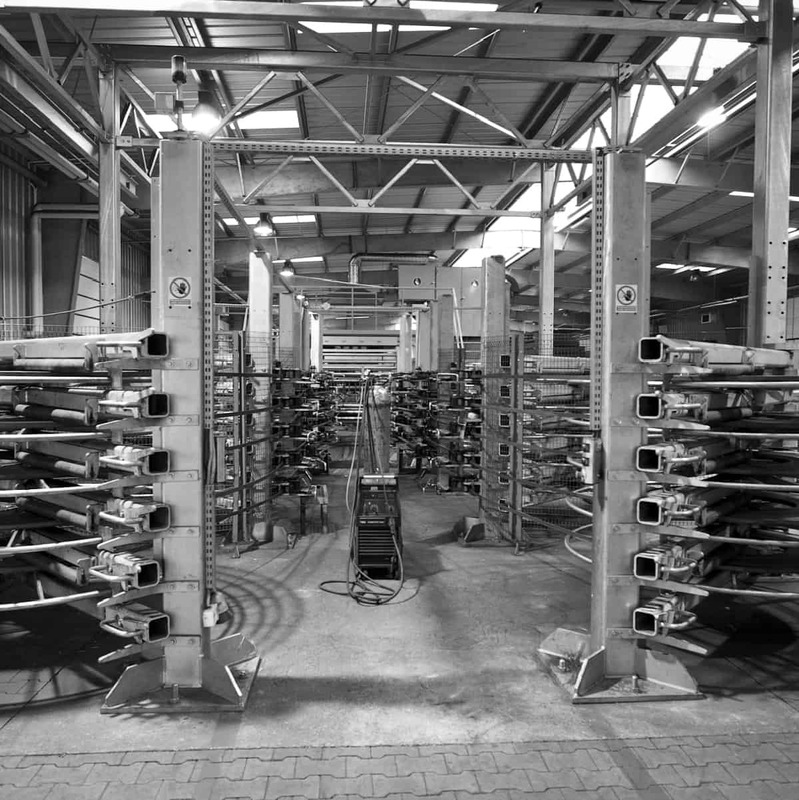 TERMETAL has two galvanisation plants which use high technology. Intermediate products and products made on request may be delivered without corrosion protection. All production processes in the TERMETAL Group comply with the environmental protection requirements, while the technologies used are aimed at minimisation of waste generation.